Big art questions: What is art and who gets to make it? 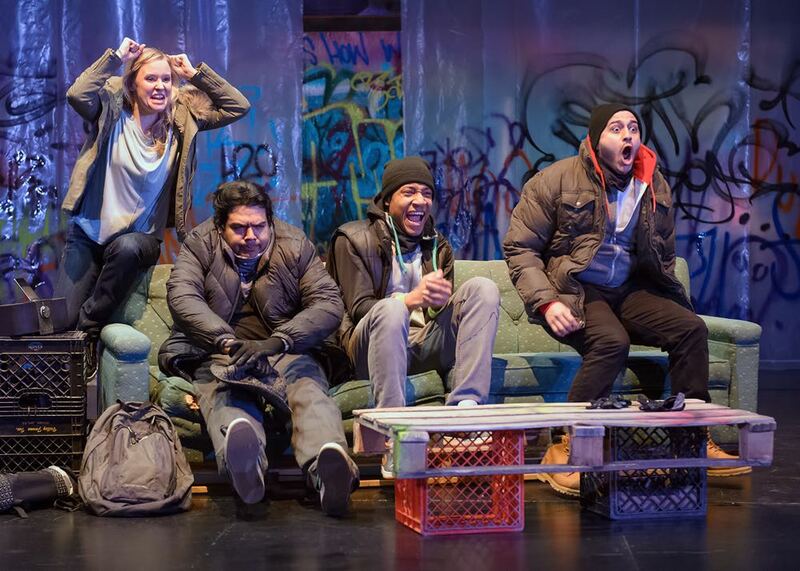 My review of This Is Modern Art, the new Steppenwolf for Young Adults play, went live on Gapers Block Monday night, soon after the scathing reviews by the two daily newspaper critics had been posted or published. I was surprised at the level of criticism in the two reviews—not criticism of the play itself, but of the theater for producing it at all. In my review, I commented, “Was what happened an act of vandalism or important artistic commentary? The question deserves to be addressed. The script and the characters acknowledge that they are committing an illegal act. But the important message the play articulates is that art shouldn’t be confined to elite galleries and museums with $18 admission tickets. The graffiti writers are artists shouting to be seen and heard. They demand visibility in a society that decrees them invisible–as artists and as individuals. Twitter commenters noted, “If you see a Shakespeare or McDonagh drama, do you criticize the artists for glorifying/condoning murder?” And “Does anyone try to ban the Netflix series ‘House of Cards’ because Francis Underwood commits murder to get ahead?” The reviews by the Tribune and Sun-Times critics received their share of Twitter snark. Trust me. It wasn’t pretty. I have written frequently about street art and post-street art (see Related Posts below) and I find the genre fascinating and vibrant. I wouldn’t want to shut it down. But I agree that I wouldn’t want to wake up one morning and find my house (if I had a house) covered with graffiti. The play also differentiates between “permission walls,” where an owner or a community invites artists to write on or paint walls. This would cover some of the paintings in highway and railroad underpasses that have been sponsored by local communities. Some graffers are happy to be able to show their art on permission walls, while to others, the risk is the drug that fuels their creativity. In any case, I believe they ought to be able to paint public walls and abandoned spaces. And the Art Institute should have left the “modern art” masterpiece on its east wall for a few days instead of immediately calling in the graffiti blasting crew. 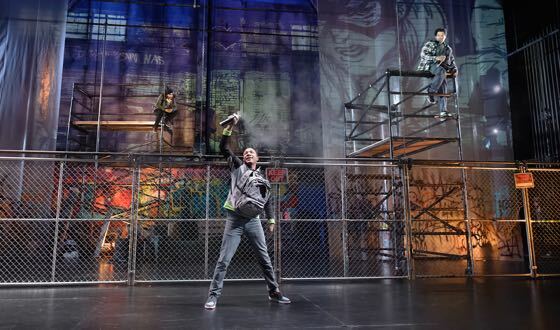 And most importantly, Steppenwolf should have commissioned a “piece” for the south wall of their building, to be displayed at least during the run of this thought-provoking play. That would have been a meaningful way for the theater to make a statement supporting their production. See my review of This Is Modern Art and go to Twitter and search #thisismodernart or @kevincoval to see the commentary about the play. Let me know what you think about this issue. Who gets to make art and where should it be shown? Please comment below. Art in the gallery and out in the street.